It has been said that it takes 21 days of consistent action to change a behavior or create a new habit. Often times we want something different but old “tapes” continue to play in our head that keep us from reaching our goals and dreams. This can range from trying to drop 10 lbs to gaining the courage to start your work at home business. The truth is going from an employee to an entrepreneur can be a little scary. However one of the ways to reduce fear and increase success is to lean on the wisdom and experience of others who have been successful in life. Some may be famous and others not. Nevertheless, the wisdom if you choose to listen can help you create a paradigm shift in thinking which the foundation to massive success. I have always loved to listen to the champions that have gone before. Here are 21 quotes that I have thought about often and used to inspire me to down size my boss and it can do the same for you. Were you told to go to school and get a good job? I was. While I know my mother meant well and thought she was preparing me to be able to have access to the pearly gates of success she could not know how things would change. However, I knew that I wanted more? How about you? Remember, you don’t have to settle for 60 hour work weeks, 30 minute commutes, your kids in day care or relocating for the promise of career advancement. You don’t have to be part of the grind… the rat race. Are you afraid to get started? It may seem overwhelming but if you focus on simply daily actions the big goals take care of themselves. Get help right out the gate. Find a mentor, coach, mastermind or become a part a community that will help to support you in your success. You want to become a life long learner. Attend seminars and boot camps in your specialized area knowledge. When you learn from people who have been successful and you model their activities you will get their results. The only way to gain confidence in a certain area is to take action. It is in the action you will start to have small victories which will increase your level of success. Don’t let other people make decision for your life. If you have no plan to create wealth during your working years your employer will use your skills to create their wealth. Have no retirement plan? Remember, it’s your life and it’s now or never. No matter what your current conditions are you have the opportunity to change them. However, this only can happen if you take total responsible for the direction of your life. If you don’t like where you are forgive yourself and focus on solutions. Don’t focus on problems or why you think something can’t happen. Start to ask powerful questions the answers will start to appear. Yes, you are good enough… right now. You are worthy… right now. You have what it takes to successfully run your own business… right now. The problem is most people allow self doubt and negativity hinder them from launching. Take a hint from Nike and … JUST DO IT! When I first heard this quote was while watching the movie, Coach Carter, and it stuck with me. 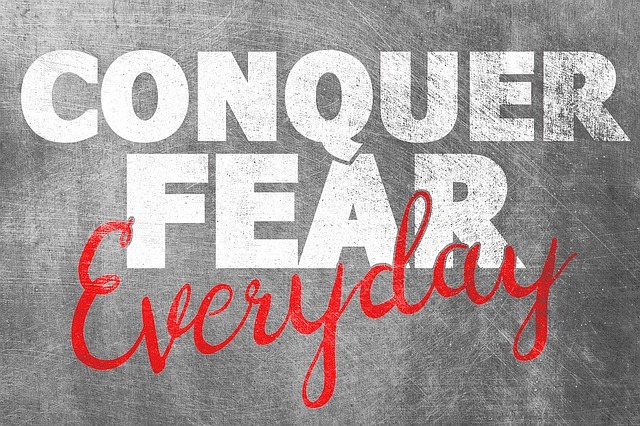 What talent or gift do you have that you are allowing fear to rob you from achieving? Doing what you were called to do it is bigger than you. You are unique and sharing your gift with someone could make a difference in their life. Are you playing it too small? Are staying in a job that doesn’t stretch you? What can you do to make a difference? The journey and pursuit of freedom allows you to see the world in a different way than others. As you grow you will naturally see opportunities that others can not see. Jason Oman author of Conversation with Millionaires calls it “Money Goggles.” Even if you were in a pitch black room you will have infrared vision in the area of creating opportunities to make money. You can’t have what you want in life by being indifferent. Successful people are passionate and sometimes radical in pursuit of their dreams. Don’t allow yourself to be in environments that discourage you. Why would you ever spend most of your waking hours doing something that you don’t like? The key to success is finding something you love to and set the standard for excellence. The self-education I have pursued after college has been my greatest return on investment. There is something to be said when you develop skills that you know will support you in any economy. Specialized knowledge applied with all out massive actions means results will yield in the form of hefty financial and/or emotional rewards. If you have not discovered your life’s purpose don’t be hard on yourself. Start to ask yourself questions and enter into a discovery process. Allow yourself to dream without concerns of how you will get it done. Every time you think you have found the answer did a little deeper with more questions. Rarely are your true goals, purpose and desires on the surface of your soul. Keep discovering new things until your purpose is crystal clear. When you get the money out of the way your world expands even greater. Oprah exemplifies this principle. She now looks for ways to help others in everything she does. Whether it is giving more support to your family or contributing to a worthy cause, having freedom as a work from home entrepreneur will allow you make your mark in the world. So what can you create and add value to the world? I love this quote because it demonstrates very clearly that what matters are results at the end of the day. Don’t get caught up in theories. Make sure you are constantly taking action that moves you towards a specific goal. Are you so afraid to fail that you just can’t get out of the box? Don’t be. Many people have ‘failed” their way to million dollar empires. It is better to do something and be wrong then to do nothing at all. When you choose to do nothing someone else usually makes a decision that impacts you and you ending up doing something you don’t want to do. There is no such thing as luck. You create the luck by working and preparing for the opportunity. When you start to put yourself out there people take notice. When the right people take note, doors start to open and amazing things happen. Make sure you are clear of your intentions and then go make it happen. You have the same 24 hours in the day as Bills Gate and Oprah. Don’t sabotage yourself by saying, “Well they can do it because their rich.” Unless you inherit wealth there is a price that everyone has to pay. You don’t have to work all day at your work to build an empire. However, you must consistently put time in if you want success. One of the greatest gifts you can give yourself is to do something you think you can not do. It doesn’t have to be something huge. A simple action of courage goes a long in adding to your confidence in every area of your life. In my home the nastiest four letter word is C-A-N-T. When you feel something is out of your reach simply as yourself, “How can I?”. You will find your brain will almost immediately come up with solutions. Some will require massive action or extreme sacrifice, but the word “cant” will be eliminated. Until you know your purpose you will be at risk for staying in a job that slowly eats away at you. Why? You simply don’t have a strong enough goal to leave your current job. When the goal is strong enough you will search to find the answers.